Cole Harbour Parks and Trails Association (CHPTA) is the recipient of the 2010 Friend of Archaeology award (presentation date and venue TBA). The summer of 2009 marked the fourth consecutive season that archaeologists conducted work at the Poor’s Farm site, located in the Cole Harbour Heritage Park in Cole Harbour, Nova Scotia. Research into the area came at the request of the CHPTA, who are the caretakers of the grounds. The CHPTA maintains a passionate interest in the cultural resources of the area and it was their initiative that launched the active presence of archaeologists at Poor’s Farm. It is their objective to obtain as much information about the former institution, by way of archaeological investigation, so that they may be able to tie it into the heritage interpretation of the park. The CHPTA’s ambitions led to the creation of a public archaeology program in 2008 that enabled professional archaeologists and members of the general public the opportunity to work side by side, digging towards a target of locating foundation walls of the demolished structures. Due to the success of the program and the drive of the CHPTA, the public will once again have the opportunity to visit Poor’s Farm for future community digs. Their enthusiasm, immense interest and accommodating nature has made research into the Poor’s Farm an enjoyable experience to all those who have had the pleasure to dig there. Without their immeasurable passion these explorations would not be possible, leaving valuable information buried in the soil. Nor would local community members have the opportunity to experience working first-hand with archaeologists to uncover the past at such a fascinating site. 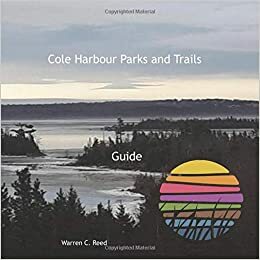 For all their ingenuity, accomplishments and compassion, the NSAS is pleased to present the Cole Harbour Parks and Trails Association with the 2010 Friend of Archaeology award. (Adapted from nomination submission by Sarah Penney).